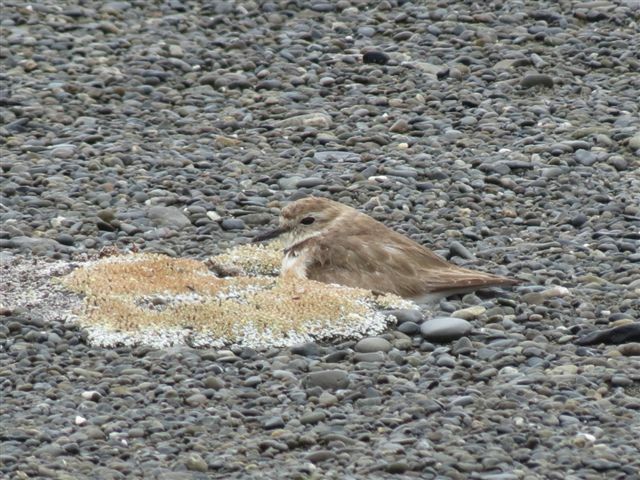 The banded dotterels have had a wonderful breeding season with many nests and chicks sighted over this summer. It is always a wonderful sight to witness how these small but extremely resilient birds hunker down in windy weather and rear their young in this very wild environment. Their camouflaged eggs are amazing and thanks to the respectful public there appears to be little vehicular damage to their nesting area. 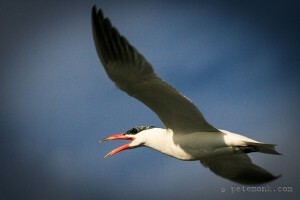 However the news is not so good for the Caspian terns. After a very settled period just before and over Xmas we saw about 10 birds sitting on eggs. 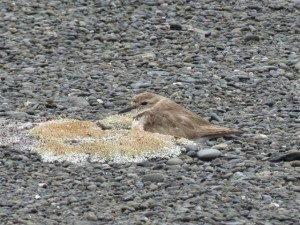 However late in their gestation we had a very strong northerly wind and the birds abandoned their eggs. It was very disappointing, but an ongoing challenge in this environment. Let’s hope 2016 is a better year for these magnificent birds. This entry was posted in Friends of Onoke Spit on 01/02/2016 by terakau.